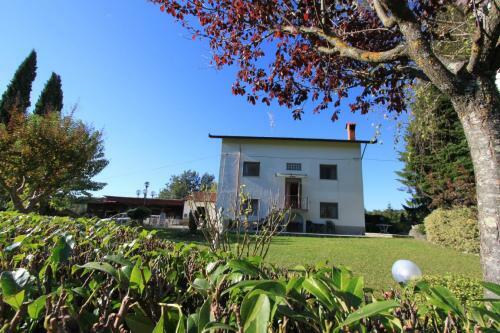 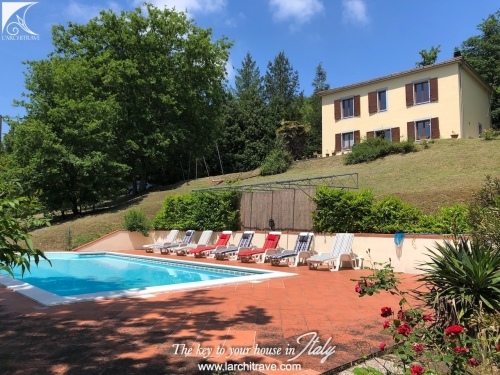 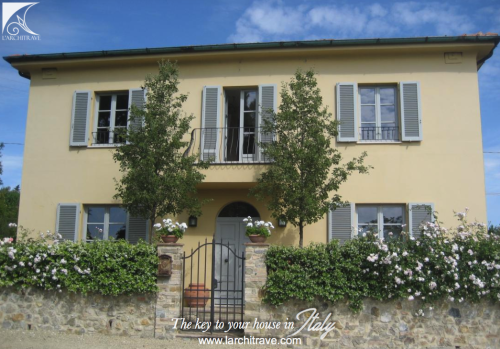 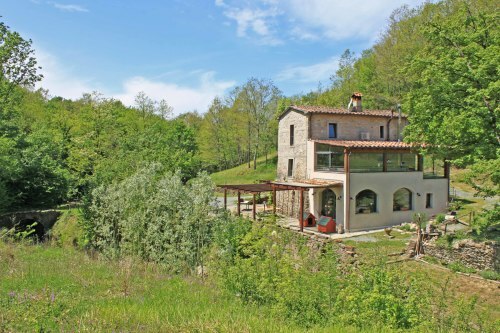 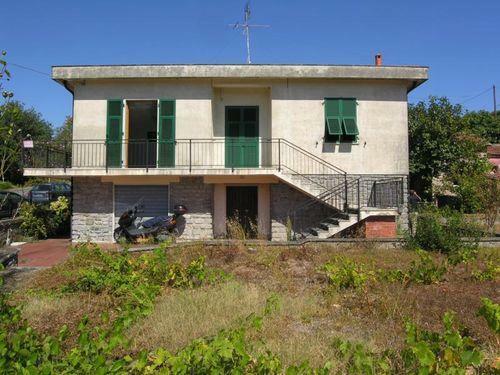 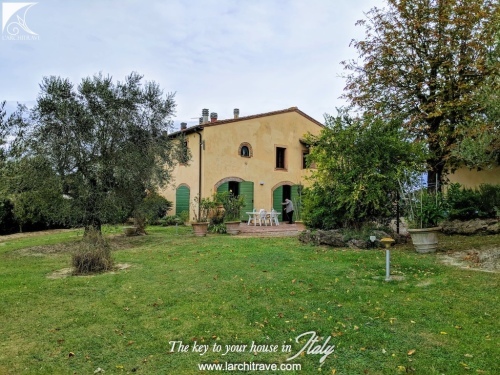 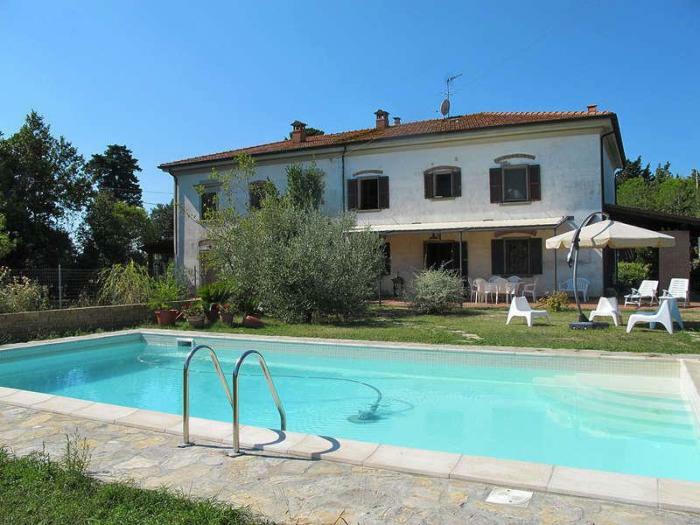 Portion of typical Tuscan farmhouse of 220 square meters, on two levels plus attic, surrounded by a beautiful garden of 6000 sqm with swimming pool, a few km from the village of Orciano Pisano, with panoramic views on the rolling hills. 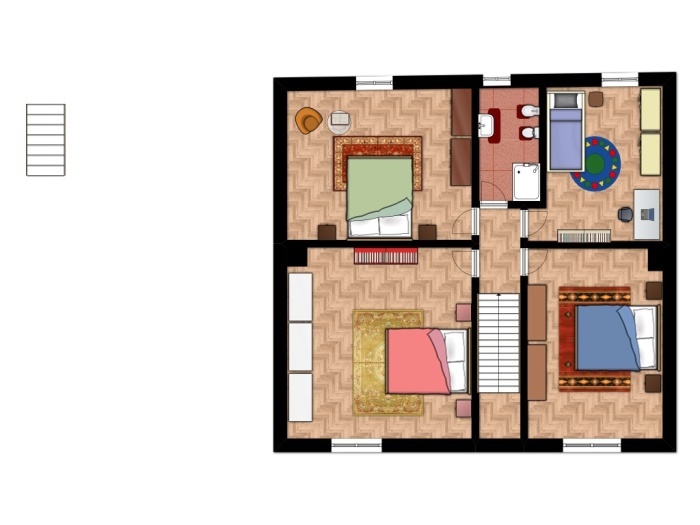 The house is easily accessible from the main road and consists of a large living room with two beautiful antique fireplaces, spacious kitchen with built-in furniture, utility room under the stairs, bathroom with shower on the ground floor. 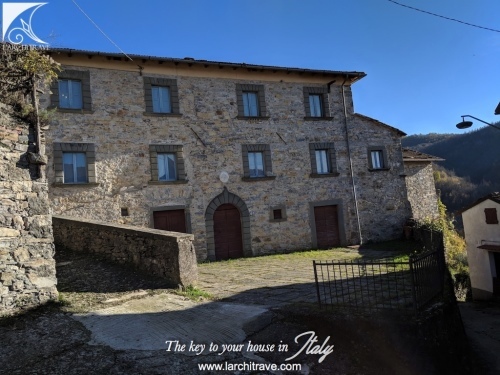 The first floor, which is accessed via an ancient stone staircase, there are 3 double bedrooms, a single bedroom or study and a bathroom with shower. 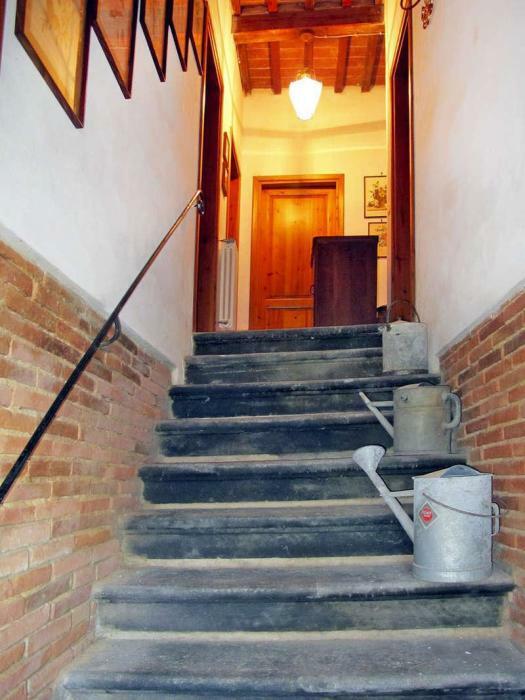 Available attic to use as storage. 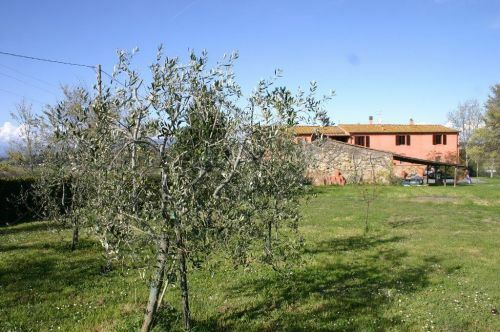 The garden offers panoramic views and is it is fenced; it has a very natural look with trees, plants, flowers, grass and 40 olive trees that produce about 20 kg of excellent quality oil. 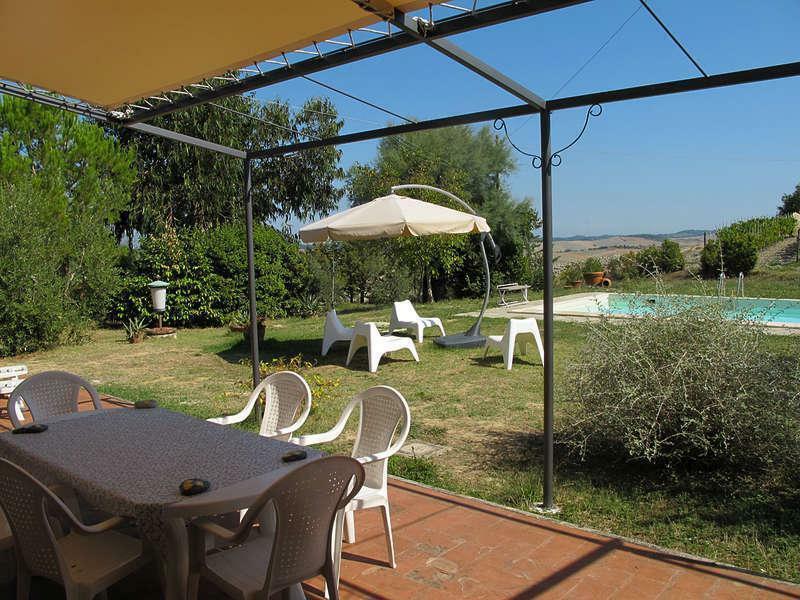 The partly covered terrace is the ideal place to sit and enjoy a good meal or a Chianti glass of wine. 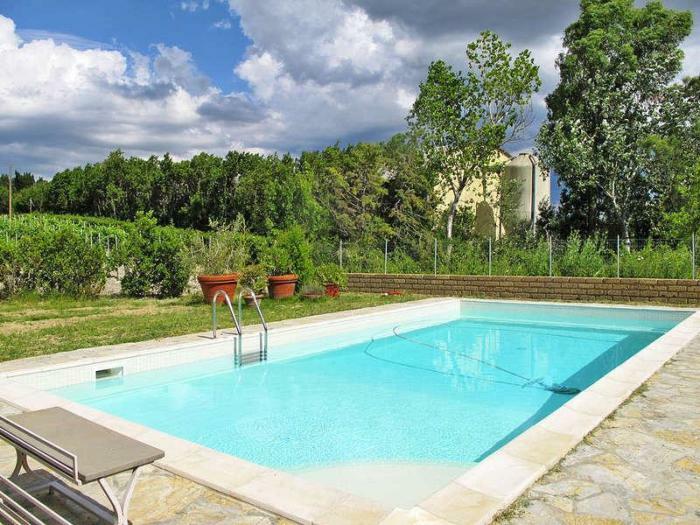 The pool measures 50 square meters and is also placed in the garden, an exclusive corner to relax in absolute privacy. 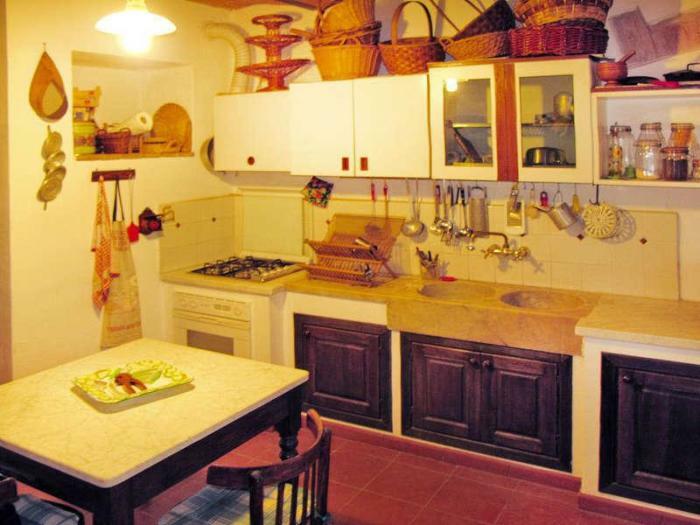 A 25 square meters wooden house is located in the garden as garden tools shed. 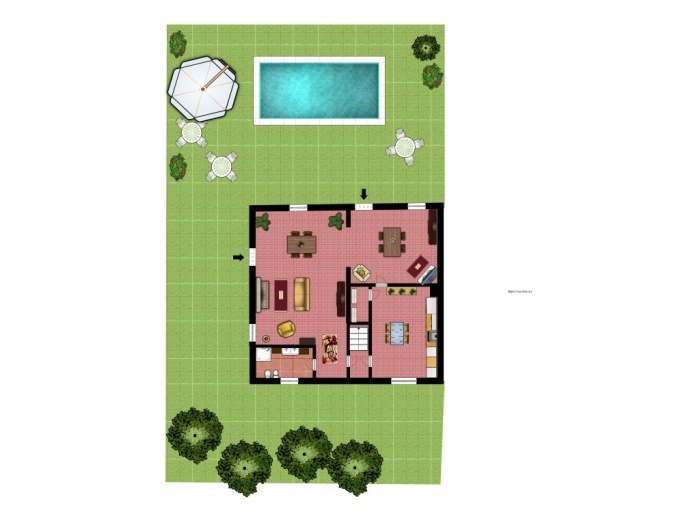 Space to park inside is enough for 3 cars. 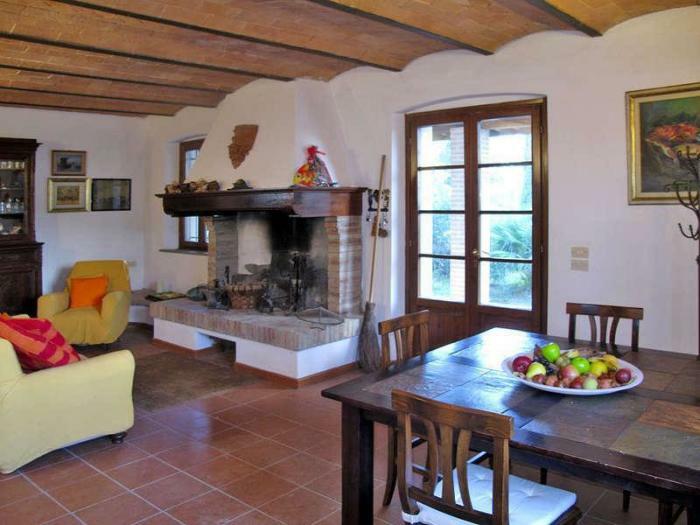 This charming farmhouse provides a consistent income to the actual owners as it is rented during the season at an average of 700/800 euros per week. 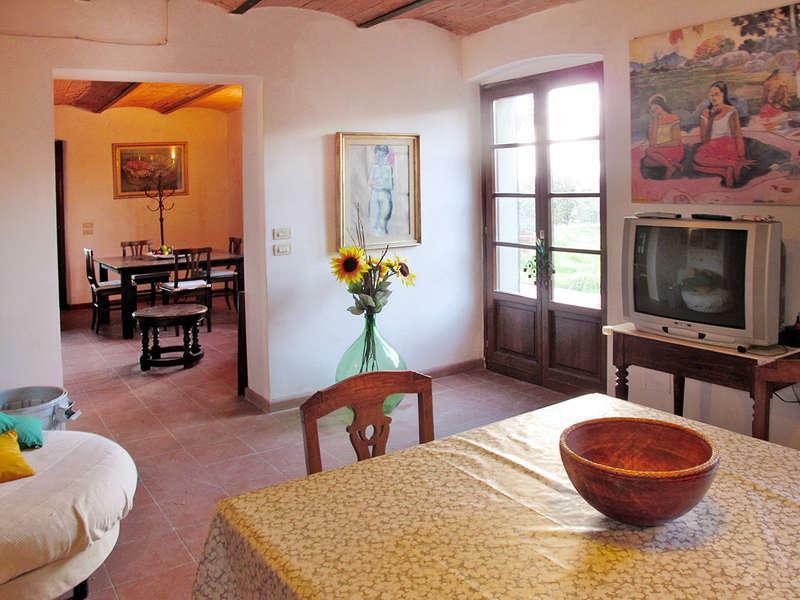 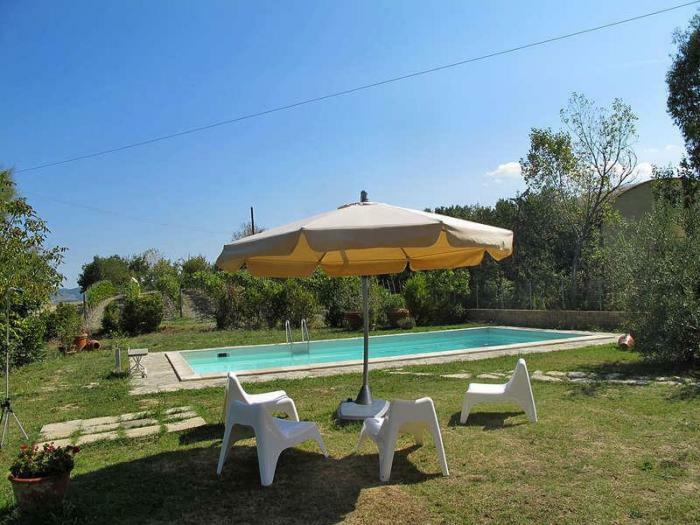 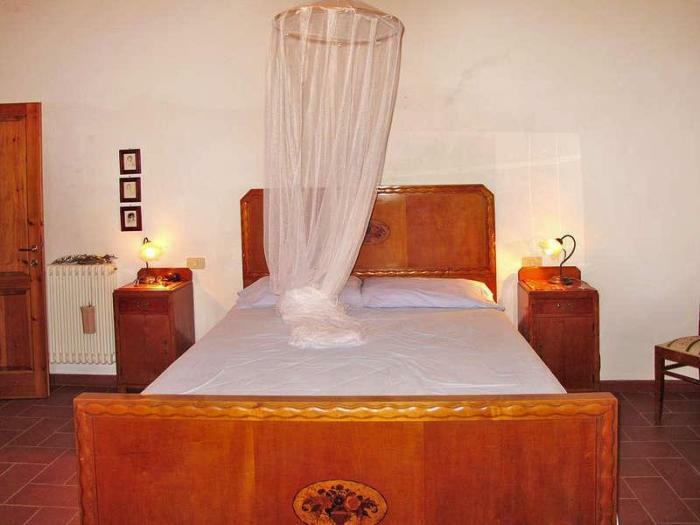 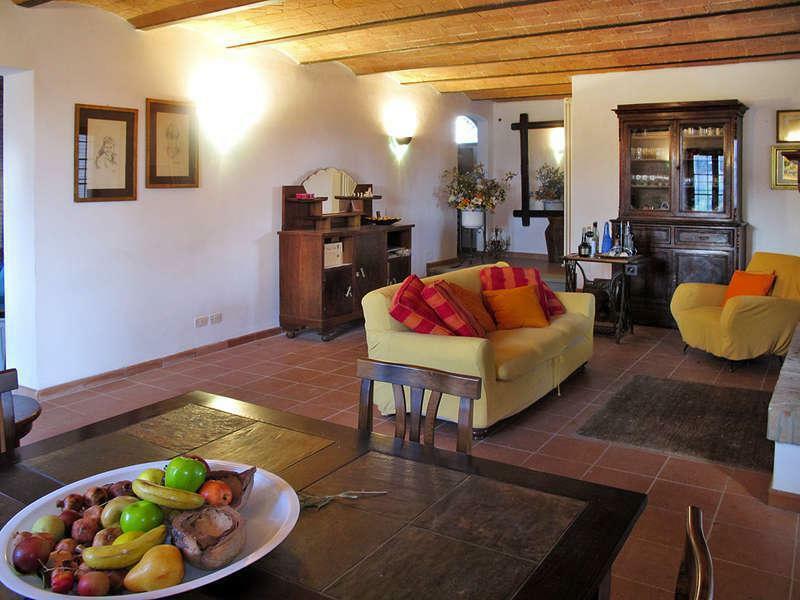 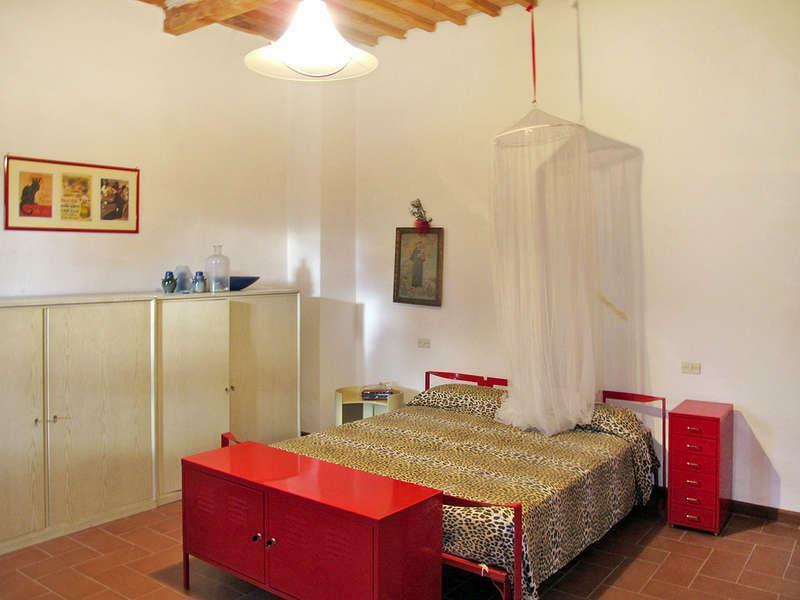 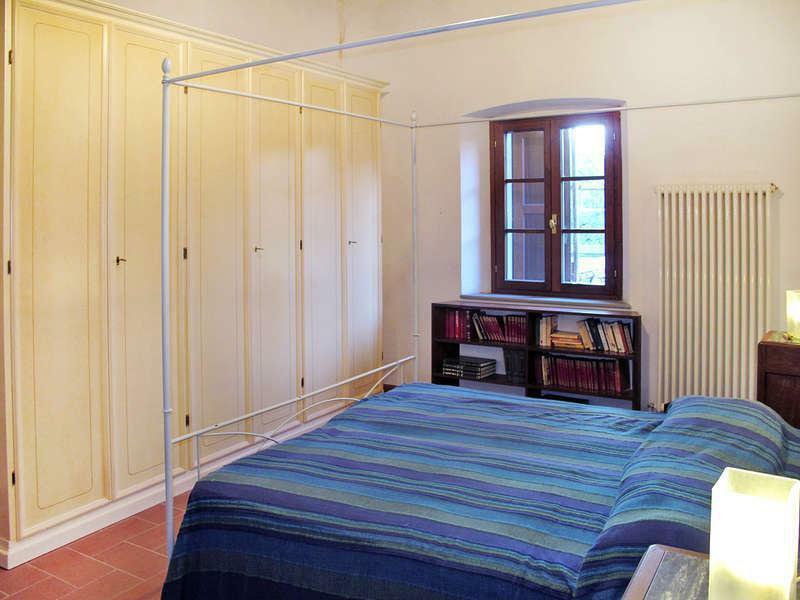 The farmhouse has been recently renovated, is in excellent condition with the facilities under. 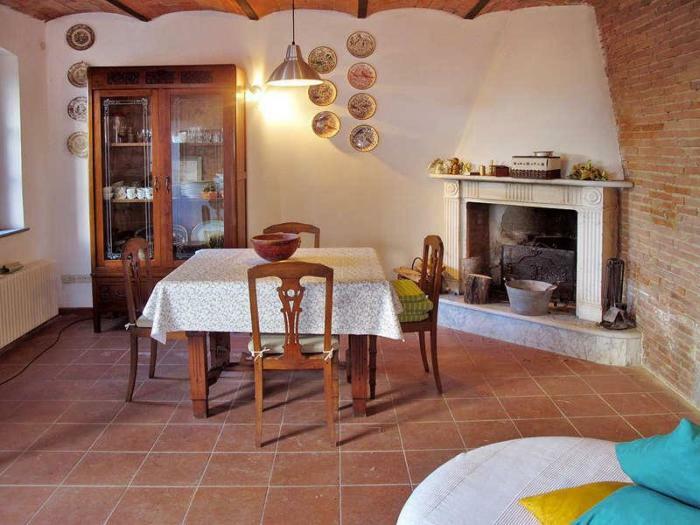 It has original features such as precious little vaults in the living area, exposed bricks on some walls, wooden beams, terracotta floors, antique fireplaces, pizza oven. 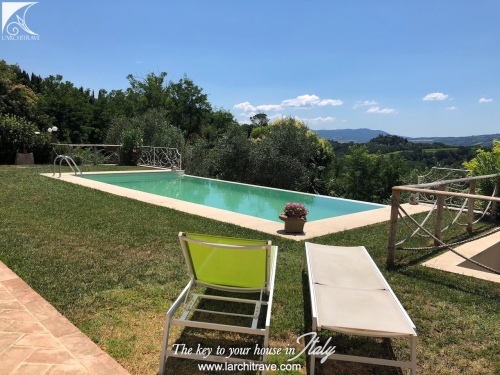 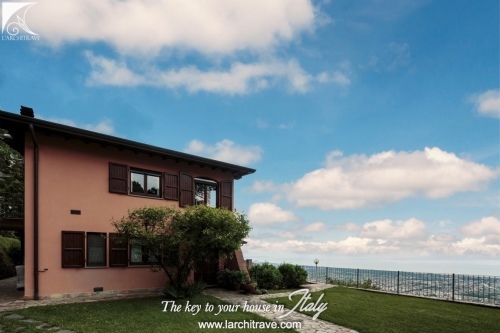 Position to reach the main cities of art, just 2 km from the picturesque village of Orciano Pisano where there are grocery stores and other genres. 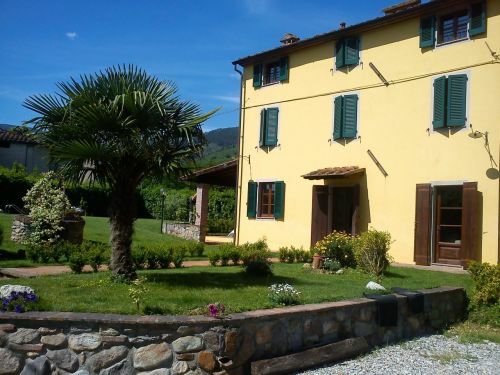 Distances: Pisa 34 km, Orciano Pisano 2 km, Florence 75 km, Coast 39 km, Golf Course 39 km.